What is "Forex Market maker" , "Dealing desk vs no dealing desk" ? With the Forex market being the world’s largest financial market, traders can come across a lot of fraudsters that pretend to be a Forex brokerage company. Most of them use the Market Maker method to rip-off traders that are looking for the fastest way. This leads to traders losing their money through trading with unregulated and unreliable brokers. Market Makers are dealers that quote both the bid and ask prices and also create a two-sided market by taking the long and short positions to profit from the spread. It provide traders with high liquidity, however some traders lose their money because of the lack of experience. The Forex market use to be a financial system used by only banks to trade currencies against each other, which have expanded and grown with the use of technology, such as the internet. Through the internet anyone can start trading with just a small amount of money in their account with a forex brokerage company which is eligible to trade on the Foreign Exchange Market. Banks and big financial corporations use the electronic systems to trade currencies in bulk. Single traders however, would need huge amount of money in their accounts to be able to trade with banks and with financial corporations. When a forex broker act as a Market Maker, the forex broker uses a dealing desk to take the orders and give currency rates to clients that they would trade on. Most currency rates provided to traders are either the same or close to what the banks provide the forex broker. So when you win a trade, you profit from your Forex broker or it can be the other way round when your broker profits from your losses. Dealing desks can also be found in banks and large finance companies to execute trades in securities. A lot of financial institutions have dealing desks around the world. Some of the advantages of using Market Maker broker includes, the minimum amount required to trade, the bonus you receive with your first deposit and many more. However there are a few disadvantages when you use the small Forex companies, such as the poor customer service, slow server connections, limited trading styles etc. A non-dealing desk is when a forex broker company automatically offsets positions to liquidity providers such as banks, hedge fund and so on, instead of keeping the orders for itself. As mentioned earlier, forex brokers can make money from your trading losses. The forex broker may want to keep the order for itself if the broker is certain that the price will not go the way you predict or the forex broker can offset orders to the interbank. 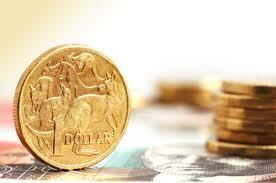 Australia Forex Brokers: What is "Forex Market maker" , "Dealing desk vs no dealing desk" ?